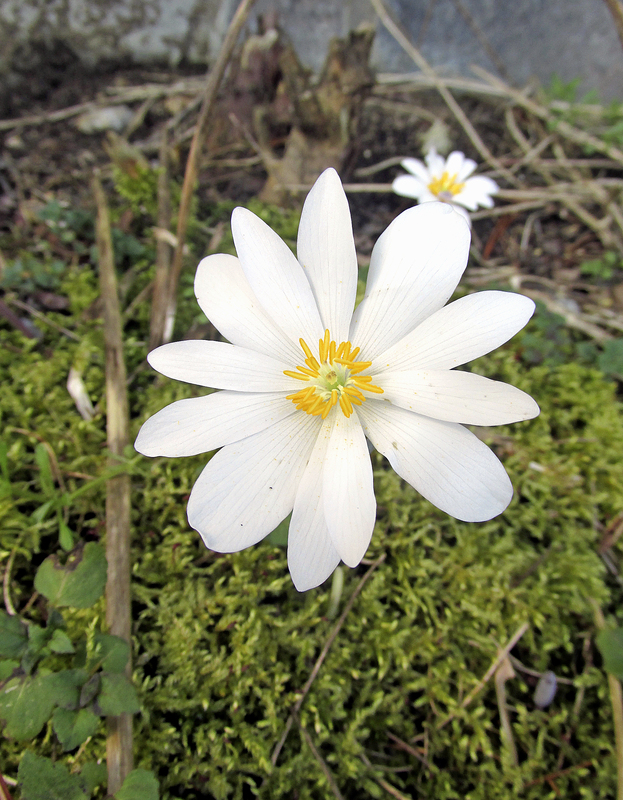 Photo by Bryan Stevens Spring blooms, like this Bloodroot, are still a major focus, but a variety of other topics of natural history have expanded the offerings at this annual event. 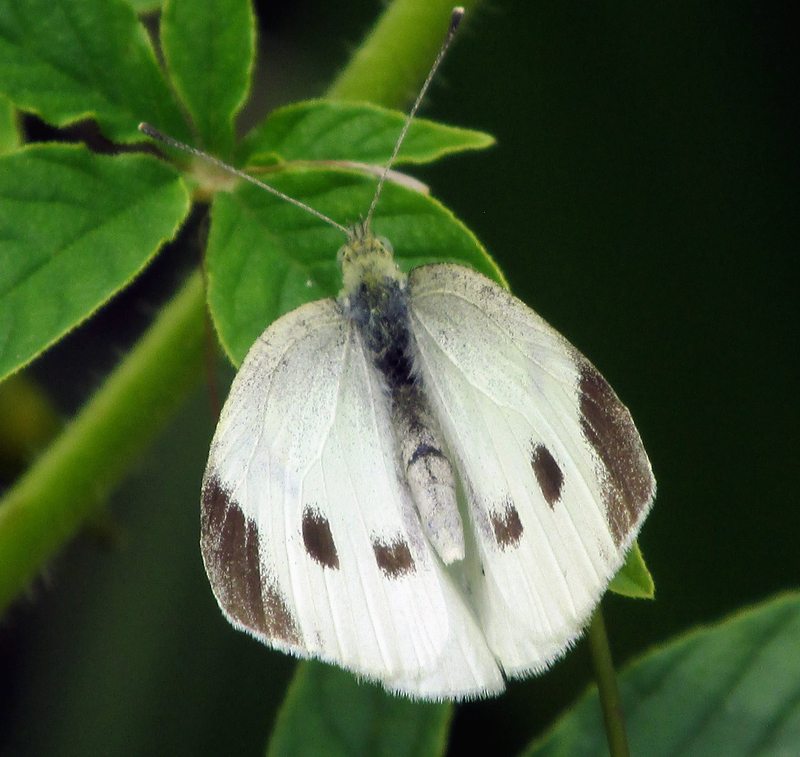 Organizers of the 58th annual Roan Mountain Spring Naturalists Rally are pleased to announce this yearly event will continue the tradition of offering nature enthusiasts the opportunity to enjoy field trips and engaging programs that cover many aspects of the natural history of Roan Mountain and the surrounding area. 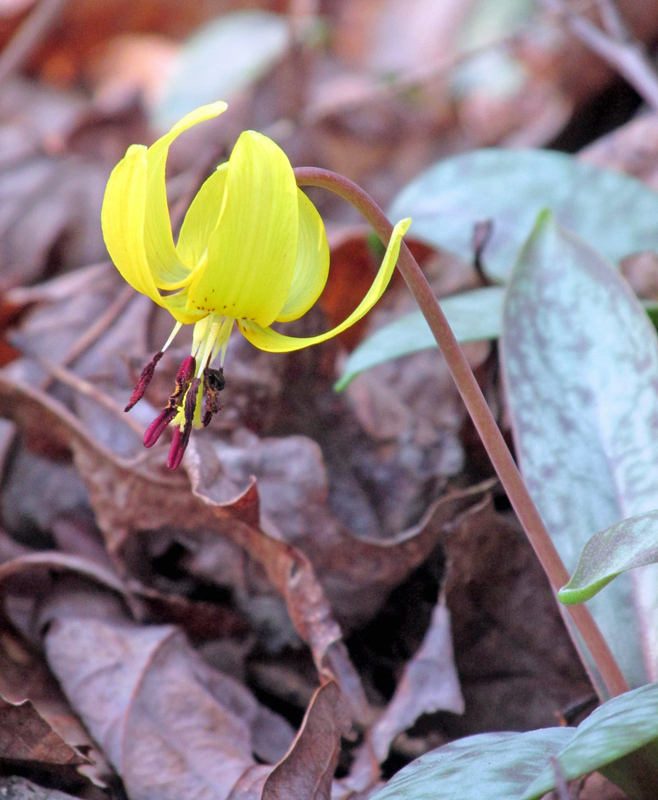 Because of the continued support of the Friends of Roan Mountain, the seasonal Naturalists Rallies have the resources they need to prosper and grow. 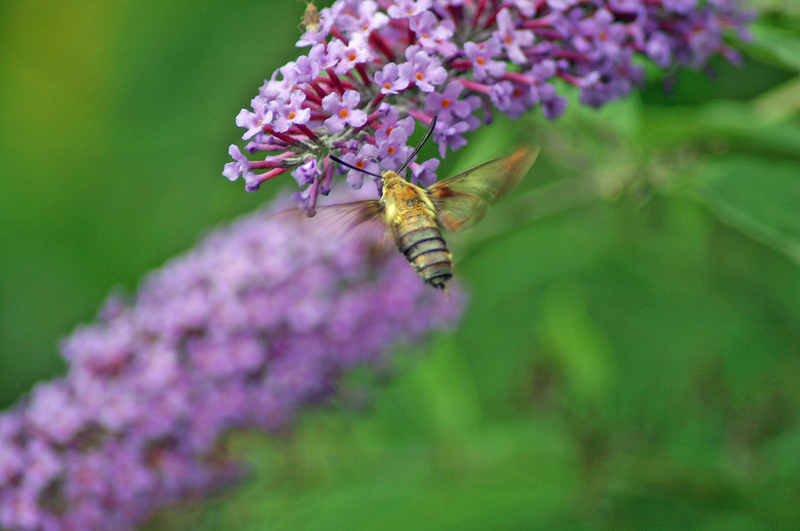 The Friends of Roan Mountain also provides support for research and restoration projects on the Roan. 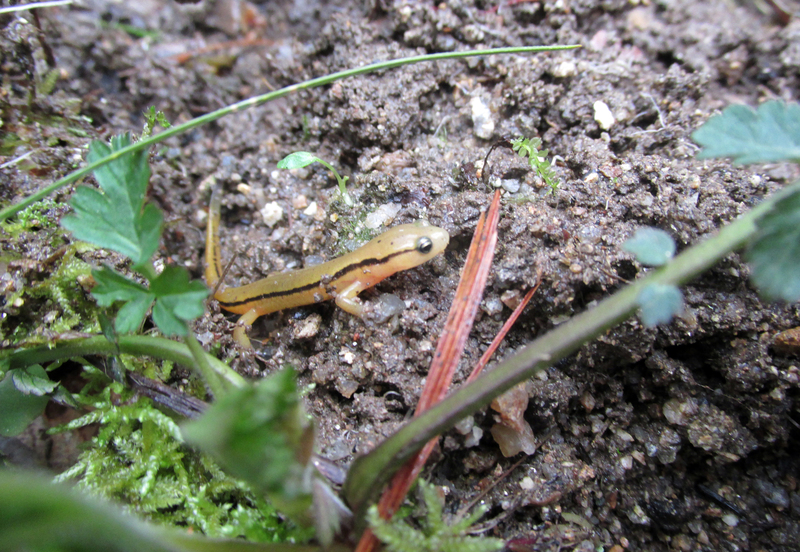 Photo by Bryan Stevens Everything from salamanders and dragonflies to edible plants and geology provides a diversity of subjects for the many hikes and programs of the annual rally. 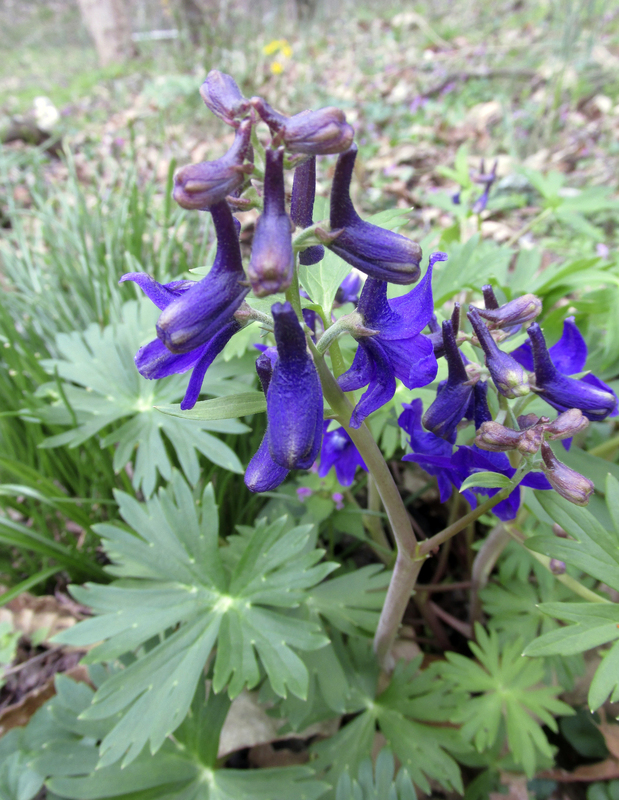 This year’s Spring Naturalists Rally will be held Friday-Sunday, April 22-24. Featured evening speakers for this year’s event are Liz Domingue and Mick Whitelaw. 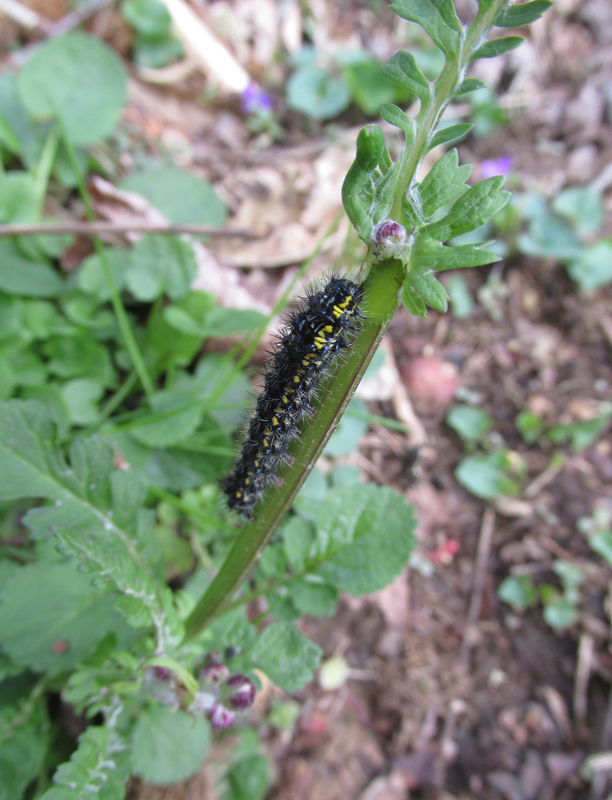 Their programs will feature the topics of butterflies and moths, as well as Roan Mountain’s historic association with the Tweetsie railroad. 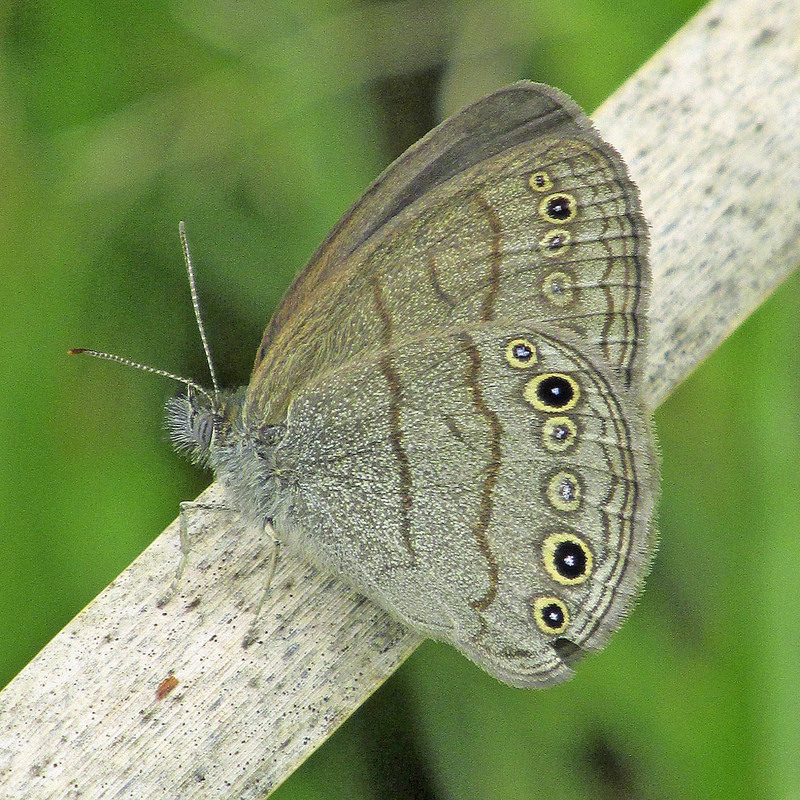 Photo by Bryan Stevens Butterflies, such as this Carolina Satyr, and moths will provide the focus for Liz Domingue’s evening program at this year’s rally. will review the history of the Roan Mountain iron mines and the little train with a heart. 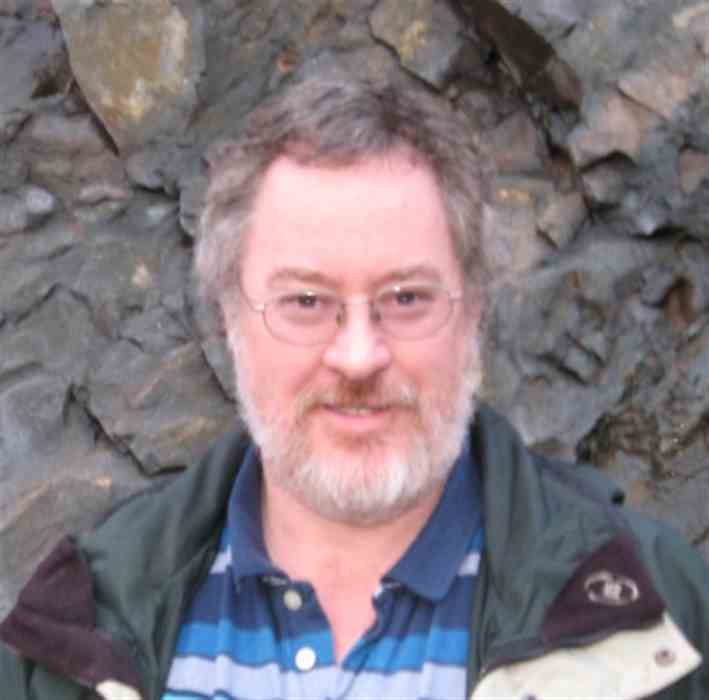 Dr. Mick Whitelaw received his bachelor’s of science degree in geology at Monash University, Melbourne, Australia in 1983 and a doctorate from the University of Florida in 1990. He held instructor positions at the University of Texas, El Paso and the University of Louisiana, Lafayette, before taking his current position in the Department of Geosciences at East Tennessee State University in 2003. He specializes in stratigraphy and the geology of the East Tennessee region and serves as site geologist for the Gray Fossil Site. This entry was posted in Birding, Birds, Liz Domingue, Mick Whitelaw, Roan Mountain, Roan Mountain Spring Naturalists Rally, Uncategorized and tagged Birding, birds, Bristol Herald Courier, Bryan Stevens, Carter County Compass, Elizabethton Star, Erwin Record, Feathered Friends, Liz Domingue, McDowell News, Mick Whitelaw, Our Fine Feathered Friends, Roan Mountain, Roan Mountain Spring Naturalists Rally, The Erwin Record on April 10, 2016 by Bryan Stevens. Photo by Bryan Stevens Flock of Wild Turkeys forage on a hillside near Hampton, Tennessee. As January moves into February, I’ve been seeing more of the birds I’ve come to associate with the winter months. 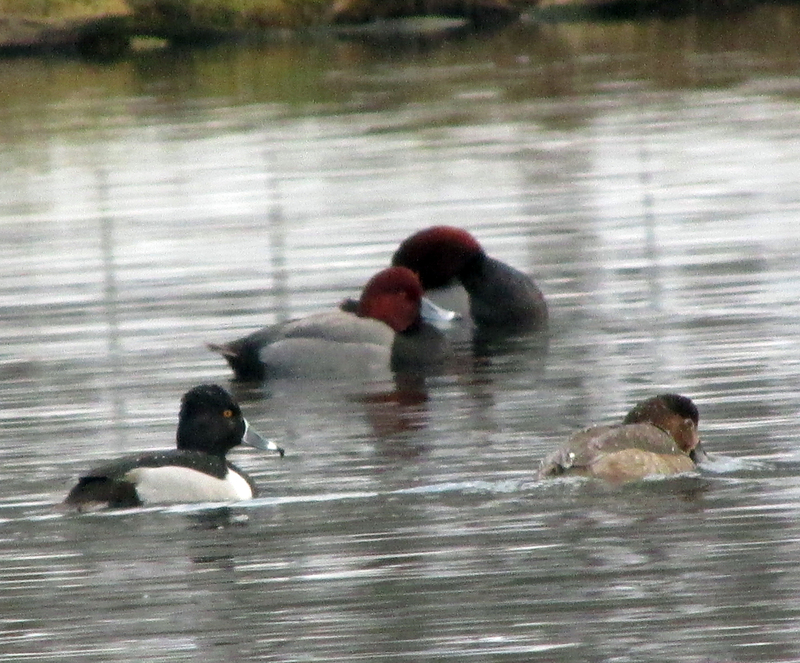 Photo by Bryan Stevens Ring-necked Ducks and Redheads visit a pond at Erwin Fishery Park in Erwin, Tennessee. 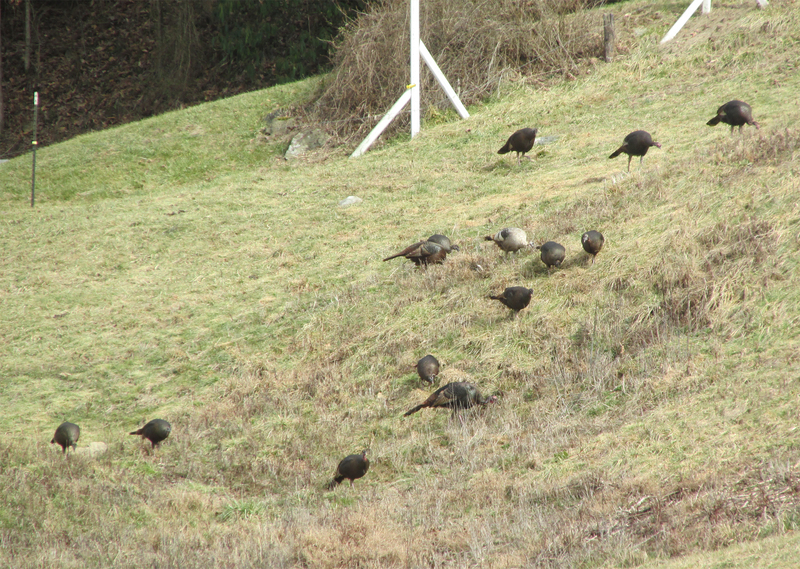 During afternoon drives I’ve observed flocks of wild turkeys in fields near my home. The largest of these flocks consisted of at least two dozen birds. In addition to the turkeys, I’ve been seeing waterfowl at various ponds at local park. Some of these observations have included ducks like Redheads, Ring-necked Ducks, American Wigeons, American Black Ducks and Buffleheads, as well as Pied-billed Grebes, Common Coots and Great Blue Heron. I also found a large flock of Ring-billed Gulls at a large pond near the Elizabethton campus of Northeast Tennessee Community College. 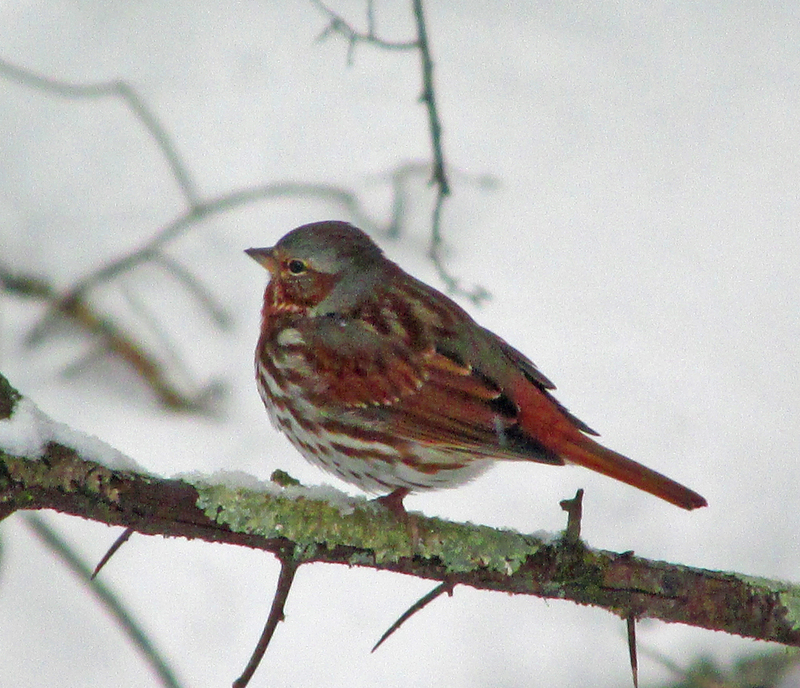 Photo by Bryan Stevens A Fox Sparrow arrived at feeders during a recent snowstorm. Recent snowfall has also changed the makeup of the flocks of birds coming to my feeders. A Fox Sparrow has joined the Eastern Towhees I’ve watched foraging on the ground beneath the feeders hanging from the branches of a blue spruce outside my bedroom window. Photo by Bryan Stevens Ring-billed Gulls at a pond in Elizabethton, Tennessee. More Purple Finches, in addition to American Goldfinches, have joined the ranks of birds crowding around my black oil sunflower-stocked feeders. Other recent visitors have included European Starlings (a winter rarity at my home) and a male Red-winged Blackbird, which linger for only one snowy day. It’s time once again to join the fun for a winter celebration of the Roan Highlands on Saturday, Feb. 13, at the Roan Mountain State Park Conference Center. The event will celebrate Roan Mountain’s grassy balds, rare plants, birds, ancient geology and ongoing conservation efforts. The inclusive event is planned as for all ages, so be sure to bring the kids. Presentations are planned by David Ramsey and Gary Kauffman. Ramsey is a well-known area conservationist, photographer, and tireless fighter for the protection of the 10,000-acre Rocky Fork tract — now a 2,000-acre Tennessee State Park surrounded by 7,600 acres of U.S. National Forest. Ramsey will present a program on photography being one of the most important items in the conservationist’s toolbox. A native of Unicoi, he was Field & Stream’s 2011 “National Hero of Conservation” and a Southern Appalachian Highlands Conservancy’s Stan Murray award winner. Ramsey, whose great-great-grandfather walked these forest paths, brings a generational love to contemporary times on Roan Mountain. Photo by U.S. Forest Service Gary Kauffman collects seeds for a project for the U.S. Forest Service. 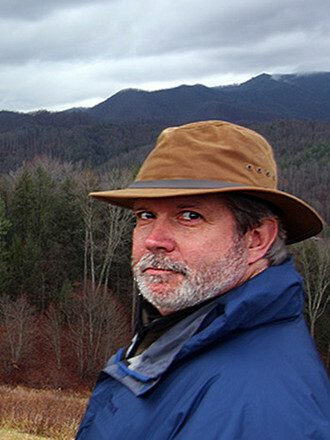 Gary Kauffman is the botanist/ecologist for the National Forests in North Carolina, which covers 1.1 million acres across four forests, the Nantahala and Pisgah National Forests in the mountains, the Uwharrie National Forest in the Piedmont, and the Croatan National Forest in the Coastal Plain. 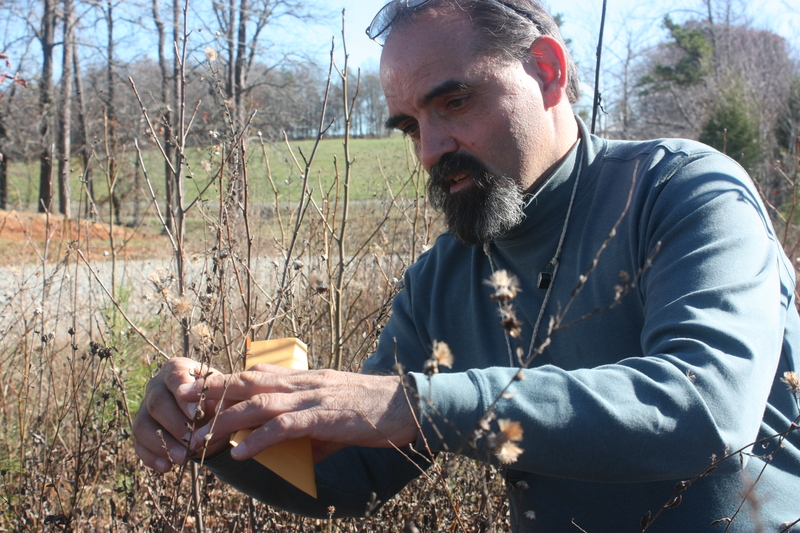 He will speak on the Roan’s rare plants in the balds and forests and the threats of balsam and hemlock wooly adelgid, beech bark disease, and non-native invasive plants. Since you’re bringing the kids along, be sure to let them know that Xtreme Roan Adventures will have a table set up for owl pellet dissection. 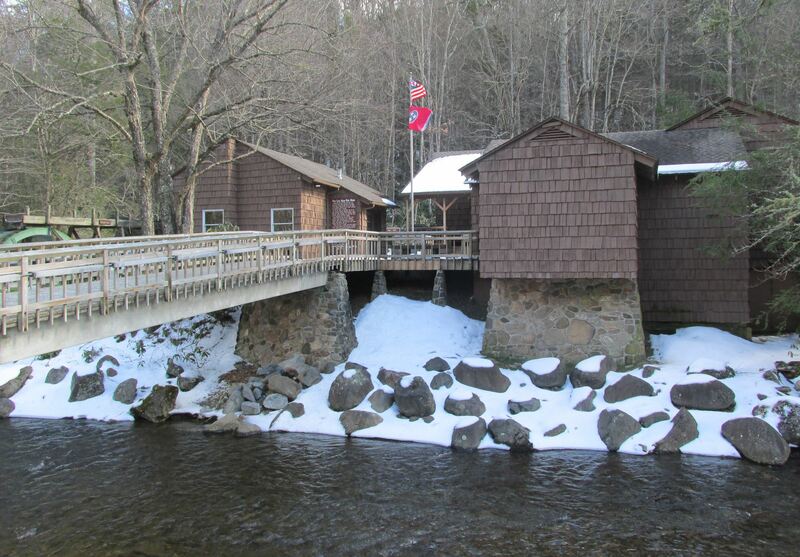 Of course, several afternoon hikes are also on the schedule for this year’s Winter Rally. Photo by Bryan Stevens The annual Roan Mountain Winter Naturalists Rally returns on Saturday, Feb. 13. During lunch, Amanda “AJ” Smithson, Seasonal Interpretive Ranger at Roan Mountain State Park, will present a program on forests and fields’ edible plants. Smithson is a graduate from UNC Wilmington and NC State with degrees in Natural Resource Management and GIS. This entry was posted in Birding, Birds, Friends of Roan Mountain, Roan Mountain, Roan Mountain Winter Naturalists Rally and tagged Birding, birds, Bristol Herald Courier, Bryan Stevens, Carter County Compass, David Ramsey, Elizabethton Star, Erwin Record, Feathered Friends, Gary Kauffman, McDowell News, Northeast Tennessee, Our Fine Feathered Friends, Roan Mountain Winter Naturalists Rally, The Erwin Record, Winter birds on February 7, 2016 by Bryan Stevens.